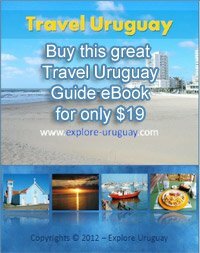 Searching for the perfect beach in Uruguay? Are you looking for a tropical paradise that is welcoming, friendly and not yet overrun with huge crowds of tourists? Then maybe El Cabito Beach, Uruguay is the destination that will provide you with the vacation of your dreams. Visitors to Uruguay are becoming very familiar with the many beaches to explore, including El Cabito Beach Uruguay, La Balconada Beach and Costa Azul. While each of these coastal areas has their own interesting features and attractions to consider it is the gentle ocean waters at El Cabito beach Uruguay that draws large numbers of tourists, especially families with small children. The beach at La Balconada beach Uruguay always acts as a magnet for young adults and the magnificent sunsets alone are well worth a trip. At Los Botes beach people can come and see the docks where boats unload their fresh catch of the day and fisherman proudly show the large fish they have landed. Costa Azul is a dazzling coastal area where you can shop , dine or swim in the ocean. At El Cabito beach in Uruguay first time visitors are amazed at the natural beauty that they discover. The shore is layered with tiny, smooth rocks that have been polished by the waves and the beach sparkles from the reflected sunlight. There are also many inlets and pools to explore along the shore. These small bodies of water have soft, sandy bottoms that are perfect for wading adventures. The people of Uruguay and visitors alike are delighted to see that that El Cabito in Uruguay is an ideal location to take small children who are just beginning to learn the skills for diving and swimming. You will discover that the waters surrounding El Cabito beach contain unusual seashells and a wide variety of fish. Many fishermen like to come out to this beach location during the day to try their luck at catching such fish as Majuga, Mackerel or Lisa. The fishing adventures are even going strong during the nighttime hours when determined sportsmen bring their lanterns and flashlights to the shore as they cast their lines after dark. There are even been whales and other ocean mammals that can be seen off the coast of this beach. Whale sightings are dependent upon the time of year, but this timing does not deter hopeful visitors from keeping their eyes open and their cameras at the ready. If you want to explore Uruguay beyond the shores of El Cabito beach you can always enjoy the lighthouse in La Paloma which is a famous Uruguay attraction. This tall structure allows you to climb to the top where you will look out over the city of La Paloma Uruguay and ocean from your position that is a mesmerizing 42 meters from the surface of the ground. There are also many older buildings located near the lighthouse that have been restored to perfection. Nearby shops and restaurants also beckon to tourists and there is always something new and interesting to discover at El Cabito.